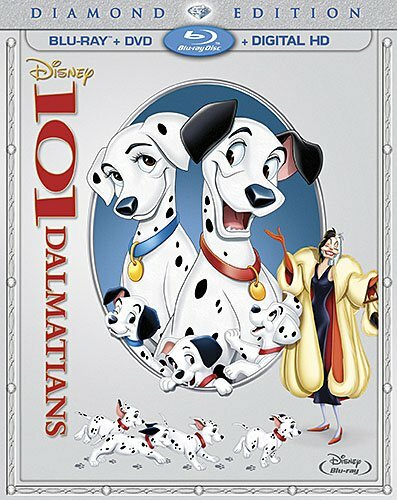 Coming to Blu-Ray/DVD once again on February 10, 2015… 101 Dalmatians Diamond Edition is a must have for your Disney Collection. I love the storyline and how good trumps evil. The character development in the puppies is beyond adorable and I love how all of the dogs work together to bring the puppies home. My children love to watch this over and again… I’m sure your crew will be entranced with them as well. with the Diamond Edition of 101 Dalmatians! Pongo, Perdita and their super-adorable puppies are in for thrills, hilarious spills and an epic action-packed adventure when they face off with Cruella De Vil, Disney’s most fabulously outrageous villainess. When Cruella dognaps all of the Dalmatian puppies in London, brave animal heroes launch a daring plan to save all puppies from Cruella’s clutches! Unleash all the excitement and suspense of Disney’s 101 Dalmatians, a beloved classic you’ll want to share with your family again and again! I don’t have this movie on dvd, I do have it on vhs but my vhs player doesn’t work very well. I will have to get this, my grandson would love it. My little girl is going to love this one! Thanks for sharing! I have not seen 101 Dalmatians in a dog’s age (pun intended) and my kids have actually never watched it. I am certainly excited for this re-release!